I bought 30 x 32 mm. In the home center, we can be satisfied purchasing a combination wrench that is less visible at lower price and shipping on the day. Of course there is no problem with quality. This review is about item#48922797. It's cheap, but looks are not cheap. The bolt's bite is also not bad. Although it may be used by hitting with a hammer, the strength is also no problem. This review is about item#48922684. It is a good product that has an angle and bolts which had been struggling up to now have been easily rotated. This review is about item#48922632. This review is about item#48922623. Although it is not a combination with a little demand, when you tighten or relax the building hardware, when you have mixed old and new hardware with remodeling etc, it is useful to have this pair of glasses and Sino. This review is about item#48922693. Even if the price is cheap, making is solid. 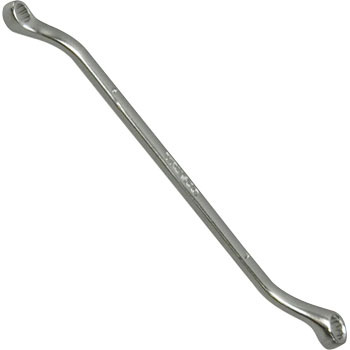 It is not an inexpensive home center, nor is it an expensive one, it is an affordable and chewy glass wrench. The work in a narrow place inside the tire house of the car was just right length. I felt good on the bolt and I was able to work without licking. I think that COSPA is good. This review is about item#48922596. Since the glasses wrench set did not have a size of 13 mm, I bought it for supplementing the insufficient size. This 45 ° double-ended glasses wrench is very beautiful in plating process, it's easy to use as much as you want to purchase in sets. This review is about item#48922605. For motorcycle maintenance it is just right size and easy to use. This review is about item#48922666.